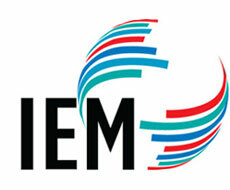 IEM Spotlight is a virtual newsletter that highlights professionals and issues in the fields of international admissions, credential evaluation, intensive English programs, international recruitment, overseas education advising, and international enrollment management. 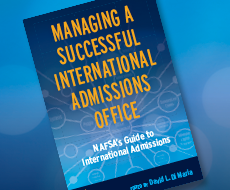 This valuable, new resource from NAFSA is a must-read for anyone in international admissions. 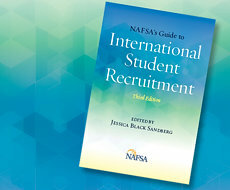 New from NAFSA, a valuable resource for anyone involved in recruiting international students. This new four-week, self-paced course provides an overview of the international enrollment management cycle and effective recruitment strategies at each phase.